All she's ever wanted was a home. But stranded at Presque Isle port after their steamboat sank, Emma Chambers and her brother, Ryan, couldn't be farther away from security. While Ryan at least can find work, Emma can't even find a place to stay. An unlikely solution arises when the lighthouse keeper, who recently lost his wife and is struggling to raise his young son, arrives in town. 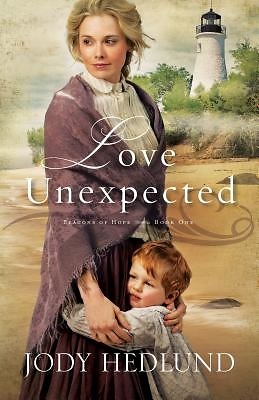 A traveling preacher believes they might be the answer to each others' problems, and after a hasty marriage, Emma is headed back to the lighthouse with this handsome but quiet stranger. But nothing in her wandering life has prepared her for suddenly being asked to raise a child and keep a house. Struggling at every turn, Emma also suspects Patrick may be keeping something hidden from her. In town she hears whispers about strange circumstances surrounding his previous wife's death, and it seems as though Emma's answered prayer for a home and family may actually be something much more dangerous.